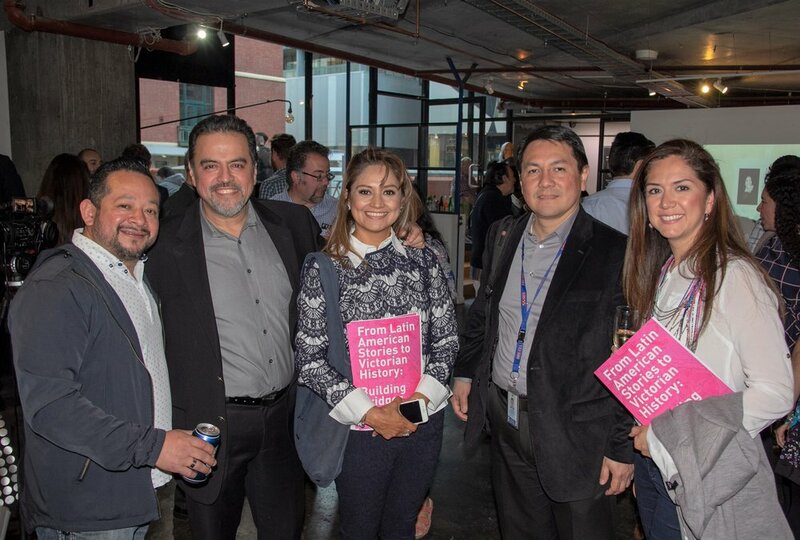 During the opening night over 200 people experienced the Latin American way of being. The night was full of energy and a sense of community and belonging was impregnated in the atmosphere. The exhibition was inaugurated by David Taylor (A/Assistant Director, Access Services, Public Record Office Victoria) followed by the opening speech of Cristina Abela (Director and Founder of Latin Stories Australia). Then, the attendees enjoyed the music of the paraguayan Alfirio Cristaldo and the chilean Pedro Fuentes. 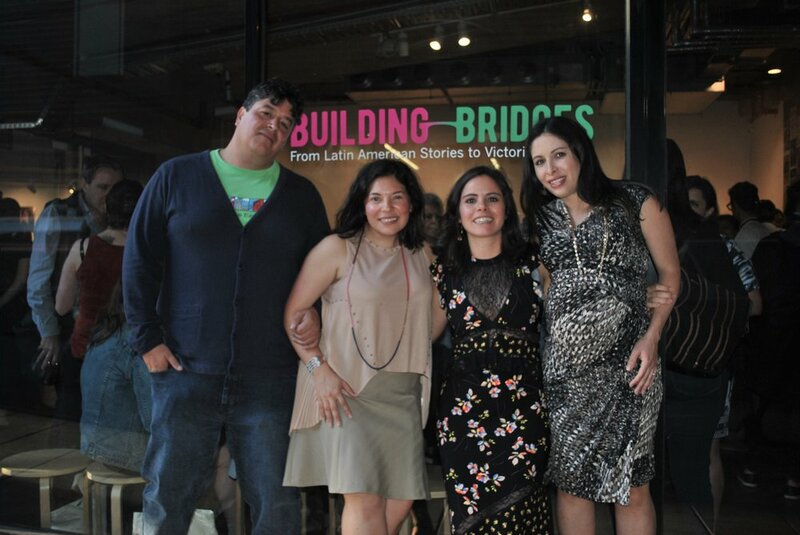 The Building Bridges team: (from right) Cristina Abela, Trini Abascal (Directors and Founders, Latin Stories Australia), Yunuen Perez and Antonio Gonzalez (curators). We acknowledge the support of Abela Wines during the opening night.